A coming-of-age ceremony is common in many cultures, from bat and bar mitzvahs to debutante balls. In some Latin cultures, a young girl becomes a woman at age 15 in a touching formal ceremony known as a quinceanera. Because this ceremony marks the transition from girlhood to womanhood, choosing the appropriate dress - one that will signify dignity, maturity and elegance - is of critical importance. 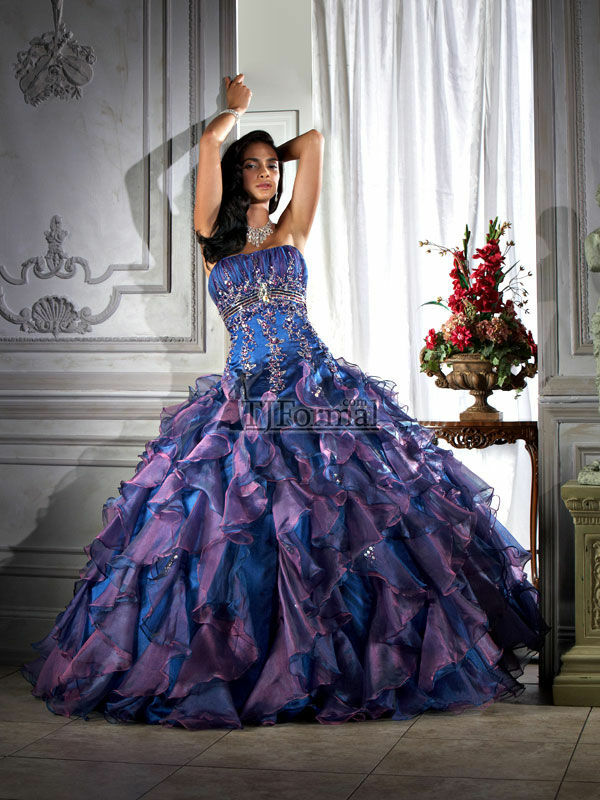 Happily for most 15-year-old girls, quinceanera dresses typically pair this grandeur and sophistication with a healthy amount of ruffles, sparkles and bright colors. Vibrant hues are a cultural touchstone for many Latinos and Latinas, so a young woman who leans toward the flamboyant and attention-grabbing can feel perfectly comfortable selecting a dress in electric blue, hot pink or lime green. At the same time, young women who prefer white, pastels or even black should choose the dress they find most flattering and beautiful. While a high, choking neckline can be seen as too proper, a plunging neckline isn't appropriate either. 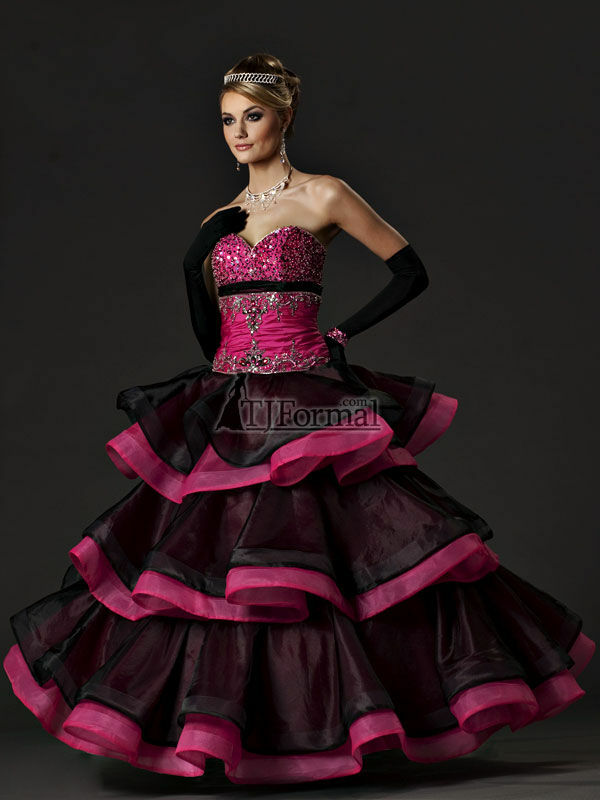 Many quinceanera dresses offer sweetheart necklines or thin straps that are ideal for a ceremony celebrating womanhood. A quinceanera is an important time in every young woman's life, and on this special day she should choose the dress that makes her feel like a princess.